Own a business? You need a buy-sell agreement! Is a Temp Agency Employee also Your Employee? Consider the situation faced by an employer that does not, typically, allow employees to work remotely. Then consider what happens when an employee with pregnancy related complications is instructed by her physician to go on bedrest for the remaining three months of her pregnancy. Moreover, the employee lacks sufficient PTO to cover the anticipated leave. She now requests permission to work from home, claiming that the request is a reasonable accommodation for her disability. While every situation is different and will often turn on specific facts applicable to both the employer and employee, it is important that an employer not reject the request out of hand. What should the employer do? 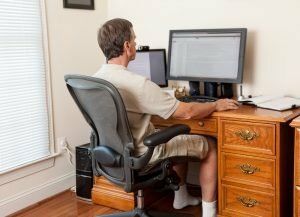 In the Sixth Circuit case of Mosby-Meachem v. Memphis Light, Gas & Water Division, the court ruled that working from home may be a reasonable accommodation under the Americans With Disabilities Act (ADA) so long as the employee can perform the essential functions of the job remotely and there are time limitations on the work-at-home period. The Equal Employment Opportunity Commission (EEOC) has made clear that allowing an employee with a disability to telecommute may be a form of reasonable accommodation but that doesn’t mean that all employees with a disability have a right to work from home. As a practical matter, not all jobs can be performed from home. There are many jobs with essential functions that must, by necessity, be performed at the employer’s site. That said, there may also be situations where a person’s disability precludes performing the job at the employer’s site but where the job (or parts of the job) can be performed from home without causing excessive difficulty or expense to the employer. Telecommuting is not a required accommodation. If an employee requests telecommuting as an accommodation, the employer is obligated to consider it but they are not obligated to grant it if the employer can establish that it would trigger an undue burden or if there is a preferable accommodation that achieves the same goal. Lack of a telecommuting program doesn’t give the employer a pass. This is true even where no other employees have been allowed to telecommute in the past. Employers may need to revisit and modify their policy. If the employer already has a telecommuting program, a request from an employee who fails to satisfy all of the program’s requirements may still constitute a reasonable accommodation. Under the ADA, reasonable accommodations may include a need for the employer to revisit and modify eligibility requirements to meet the needs of an employee with a disability. Whether there is a need for immediate access to documents and other information that is only located and available in the workplace. These criteria are not intended to serve as an excuse to the employer especially if the request will only trigger a minor inconvenience to, or adjustment by the employer. For example, if the job responsibilities include periodic employee meetings, that issue may be effectively resolved by allowing the employee to participate via a conference call. From the employer’s perspective, it is also fair and reasonable to set appropriate time limitations on the duration of the accommodation. 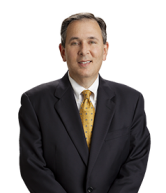 Contact Ron Lyons for assistance with this or other Employment Law questions.